Our mission is to deliver quality service, products, and mud systems in an environmentally safe and economical manner. Please use the form below to contact us about your completion fluid and specialty chemical needs. 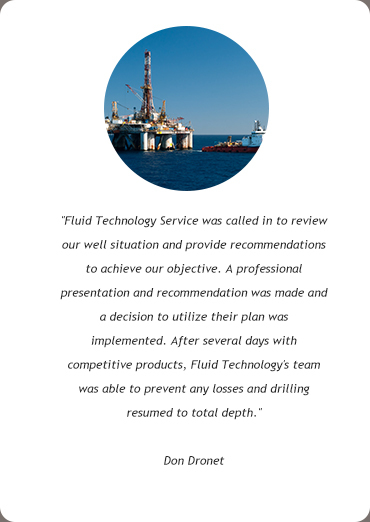 Someone with Fluid Technology Service will be in touch with you shortly regarding your questions or comments.